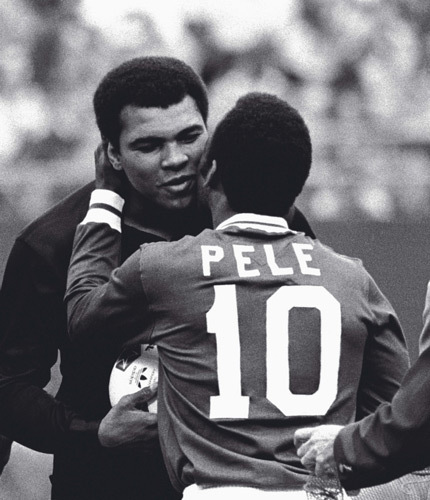 In rememberence of Muhammad Ali’s 70th birthday this week, January 17, I am bringing back one of my favorite features on THE GREATEST that was part of a series I did for for this Web site. Here now, for your enjoyment, is that story. Happy Birthday Champ! 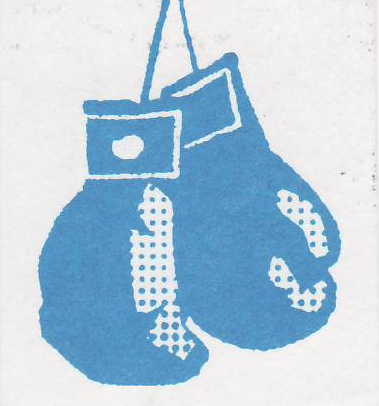 By David Martinez / Boxing HistorianThis is the last of a six part series on Muhammad Ali. It has truly been my pleasure to share with you my personal accounts of THE GREATEST heavyweight champion in my era of boxing. For those of you who have missed any of this special series, you can simply go to the menu on this website and click on the category, “Ali”, to view each part. So, in my final, part six, I will take you back to Saturday afternoon, March 5, 2005. The location was the Stevens Steak House, Commerce, California. 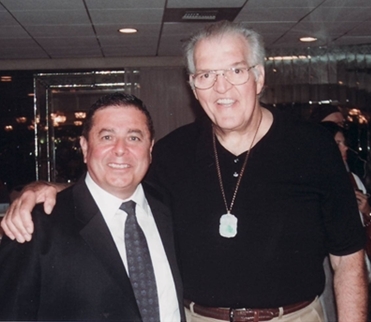 The event was the annual California Boxing Hall of Fame Inductee ceremonies. This wasn’t even a live fight, but I will simply recognize it as one of the most memorable events that I have attended in my almost fifty years of involvement in boxing. 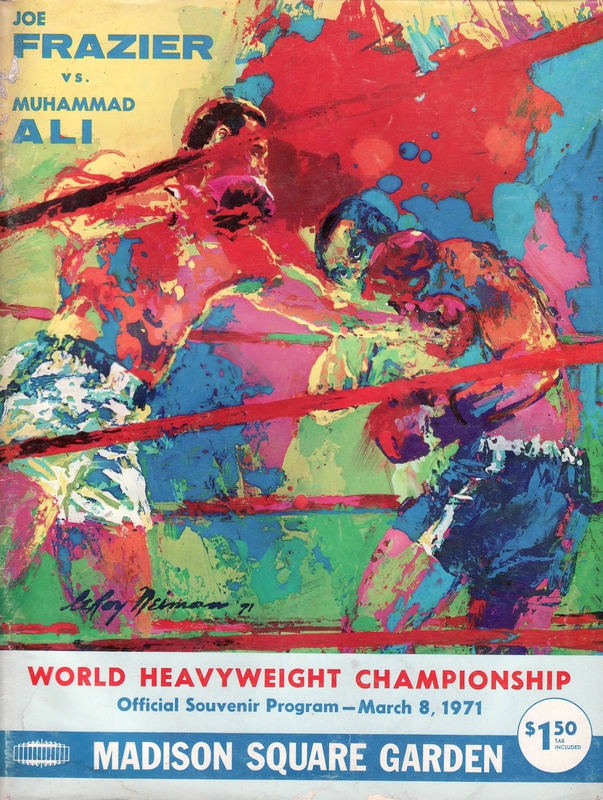 As the ceremonies were just about to conclude, the doors opened at the restaurant and the 600-plus SRO crowd started to chant “Ali, Ali, Ali, Ali, Ali” as the three time heavyweight champion entered the room. It was so electric, it was as if the Pope himself had walked into the room, and it was one of those moments in time where one just had to be there to witness and feel it. September 21, 1966 / vs. Oscar Bonavena … Frazier down twice in second round to rally and win a hard fought 10 round decision. 1) Muhammad Ali was born in Louisville, Kentucky. What other former heavyweight champion was also born in Louisville and note both fighters also had their first professional bouts in Louisville ? 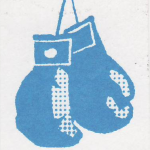 2) Which boxer was 22 years, 11 months younger than George Foreman when they fought ? 3) The last TV comercial performed by Rocky Marciano before his death in 1969 was for what automobile product ? As Muhammad Ali ruled the heavyweight division in the mid 60’s, white hope contenders came and went. Henry Cooper, George Chuvalo and Karl Mildenberger all were vanquished by the “Greatest”. When Ali was forced to relinquish his crown in 1967, the best of the white contenders was probably Jerry Quarry. By 1969 a huge brute of a man named Jack O’Halloran had compiled an impressive 16-1-1 record. Standing at around 6′ 6″ and weighing in the vicinity of 240lbs., Jack struck fear into opponents by his mere bulk. In 1969 he upgraded his opposition with mixed results. He dropped decisions to Joe “King” Roman, Joe Bugner and Tony Doyle. On August 19th he was halted by rugged “Florida” Al Jones. In turn he outscored Carl Gizzi and stopped Mexican contender Manuel Ramos in seven rounds. On January 26th, 1970 in New York Jack was kayoed by George Foreman in five rounds. On April 9th he was destroyed in one round by Mac Foster. Jack lost a rematch with Roman but he did manage to outpoint Britisher Danny McAliden. 1971 was a dismal year for Jack as he lost to Jack Bodell, John Griffin, Ron Stander and Ron Lyle. Jack did decision Cleveland Williams and he kayoed Terry Daniels. As we approach this week in boxing, something that will forever live in the sport happened forty years ago: Muhammad Ali vs. Joe Frazier – the FIGHT OF THE CENTURY. On March 8, 1971, the boxing world saw the most eagerly anticipated championship fight that I have ever been involved with in my fifty years in boxing. The fight itself exceeded even its own promotional hype between two fighters unbeaten and having contrasting styles. 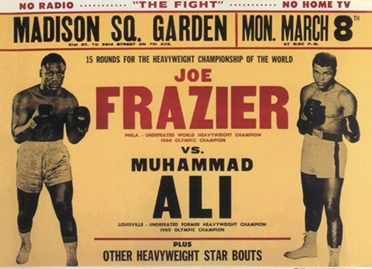 They both had legitimate claims to the heavyweight title, Ali as lineal champion (31-0 / 25 by KO) and Frazier as the undisputed heavyweight champion (26-0 / 23 by KO). 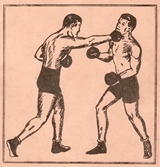 The guaranteed purses were 2.5 million dollars to each, then a record for a single prize fight. I will always remember where I was on that Monday night, watching on closed circuit, at the historic Granada Theater, Santa Barbara, California. The fight took place at Madison Square Garden, New York City, with a star studded audience. The ringside commentators were Don Dunphy and Archie Moore, and my late friend Arthur Mercante served as the referee. 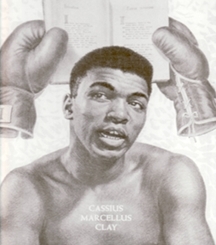 1) Muhammad Ali “aka” Cassius Clay suffered his first knock down as a professional, in 1962, to what boxer ? 2) The late boxing trainer Howie Steindler trained many professional fighters in his career, who was his first ? 3) Mexican great Salvador Sanchez once fought the father of what former champion ?